- Mac Highlight pressed powder "Marine Life"
When I first saw this collection I wanted to buy every single product! What do I think? I LOVE THEM!!! 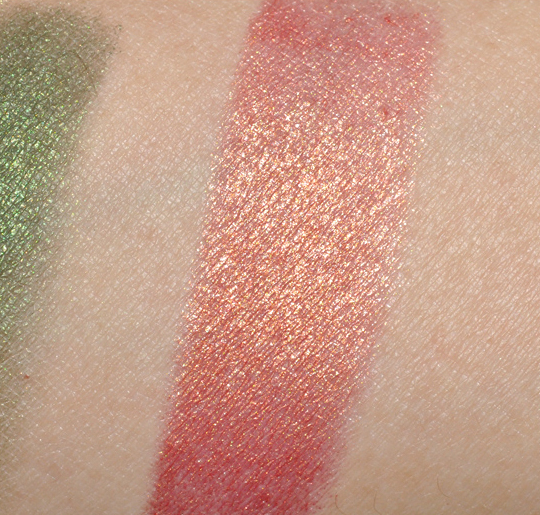 I was stunned when I swatched the powder in the shop, so pigmented and shimmering! Perfect for summer imo, and then I was looking for the fabulous lipstick in "Thrills", because it's so similar to Indian Pink by NYX, which I already have and love...I will try it out immediately! Which products have you seen of this collection that you might want to try/buy? Let me know! Ti abbracciamo! E sbaviamo su questa nuova collezione!